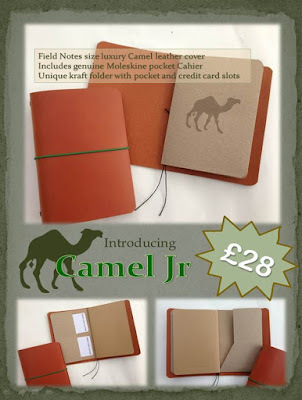 In the days before the return of the Camel version of the Midori Traveler's Notebook, I created an alternative, my Camel Special Edition. It is still available. But you still can't get a Midori in Field Notes size. May I present my Camel Jr Special Edition? If you want one, you can send me an email.